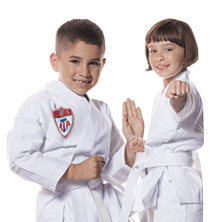 At Thrive Martial Arts, although we are labeled as a karate dojo, we practice taekwondo, which is technically different from karate depending on who you ask. 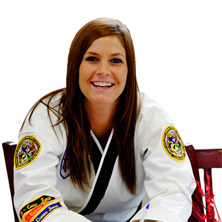 Working with the American Taekwondo Association, we have taught this discipline of martial arts to countless students in the Fort Collins and Windsor area, helping them to soar to black belt and well beyond. 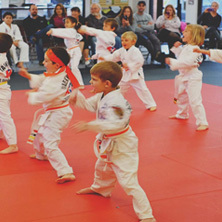 It can sometimes be hard for many children and even adults to stay motivated to continue their martial arts training, but at Thrive Martial Arts, we know hard work pays off! 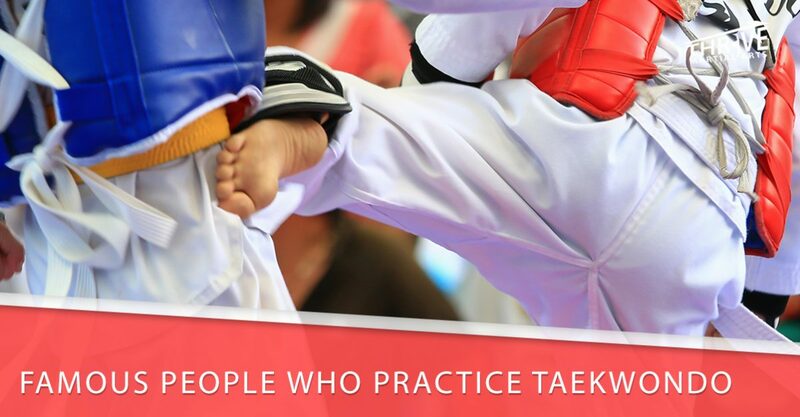 In fact, there are many famous people who are taekwondo experts themselves. If you’re ever feeling iffy about coming to the dojo, consider these famous people, and the fact that they all went through the same journey as you! Betcha didn’t know that your martial arts training is something you have in common with former president Barack Obama! That’s right, Obama himself is trained in the way of the hand and foot, and while you likely won’t see him drop by your weekly taekwondo class in Fort Collins, he has gone through some of the same training. However, Obama is on the bottom of our list because he has, in fact, only reached green belt. Regardless, he did receive an honorary black belt from the president of South Korea in 2009. So whether he earned it or not, it’s fair game to imagine Obama in a gi throwing down punches and kicks. The Terminator is even more frightening when you realize that he’s been trained in taekwondo. In addition to pumping iron, governing, and time-traveling, Arnold has done his fair share of martial arts. Schwarzenegger has been trained to first-degree black belt in taekwondo. Let’s just list that as one of the many reasons why we wouldn’t want to get into a tussle with him. The Terminator was intimidating enough when we assumed he didn’t know how to perfectly land a jumping crescent kick. Come on now, is it really a surprise that Buffy herself has a black belt in taekwondo? The iconic vampire slayer is trained in the ways of martial arts, and she even puts this knowledge to use on set, being an actress who prefers to do all of her own stunts. If you thought that Buffy was just a fabricated screen persona, think again — Sarah Michelle Gellar is definitely someone you wouldn’t want to throw down with. Taekwondo, it seems, is a prerequisite among vampire hunters (we’ll have to do a background check on Van Helsing to see if he’s got his black belt). In addition to Sarah Michelle Gellar who is famous for playing Buffy, the titular star of the Blade movies, Wesley Snipes, is trained in the way of the foot and fist as well. 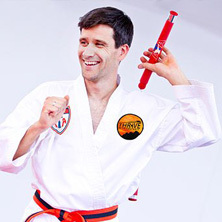 He has reached third-degree black belt, an impressive feat. But if you think your taekwondo skills are unmatched, watch out — he also sports a fifth-degree black belt in Shotokan karate and a second-degree belt in Hapkido. You don’t want to mess with Wesley Snipes. Jessica Alba has a surprising amount in common with Sarah Michelle Gellar. She, too, does her own stunts, and she also plays an iconic female hero. Jessica Alba is well known for playing Sue Storm in the Fantastic Four movies, where her black belt no doubt came in handy during action scenes. While she may not be able to turn invisible and project force fields in real life, she could land some swift punches and kicks on you. Michael Jai White isn’t as much of a household name as a lot of the others on this list, but there’s a good chance you’ve seen him on the silver screen, even if you didn’t realize it. He’s played small roles in a wide variety of movies, often in combat situations. He had a small role in The Dark Knight and has also led in several productions, such as the silly movie/show Black Dynamite. His taekwondo skills, however, are no joke. He has a black belt in taekwondo and six other martial arts disciplines. If you ever find yourself in the (highly) unlikely situation where you’ve provoked Michael Jai White into a fight, maybe you should consider buying him a drink and diffusing the situation instead. As it turns out, Chuck Norris isn’t an internet phenomenon and regular subject of “manliest man alive” jokes because he’s some kind of schmuck. On the contrary, this man has not only reached the top levels of taekwondo, he has broken records and made history doing so. Chuck Norris is a staggering eighth-degree black belt, the highest rank possible, and worthy of the title “grandmaster.” He is, in fact, the first westerner to have ever achieved this rank. If you thought Chuck Norris’s skills were just the stuff of memes, jokes, or well-timed choreography, think again — Chuck Norris could quite literally and unironically best anyone else on this list in a fight. Feeling inspired by these prolific names who have put their bodies and mind to the test through taekwondo training? Come to our Fort Collins dojo today to embark on your journey to black belt, or to continue the path you’re already on. We have highly qualified instructors and we teach a variety of classes, ranging from “tiny tigers” less than six years of age to fully grown adults who are interested in learning true self-defense. Ready to get started on your quest to equal Chuck Norris? Stop by our dojo, or contact us today!